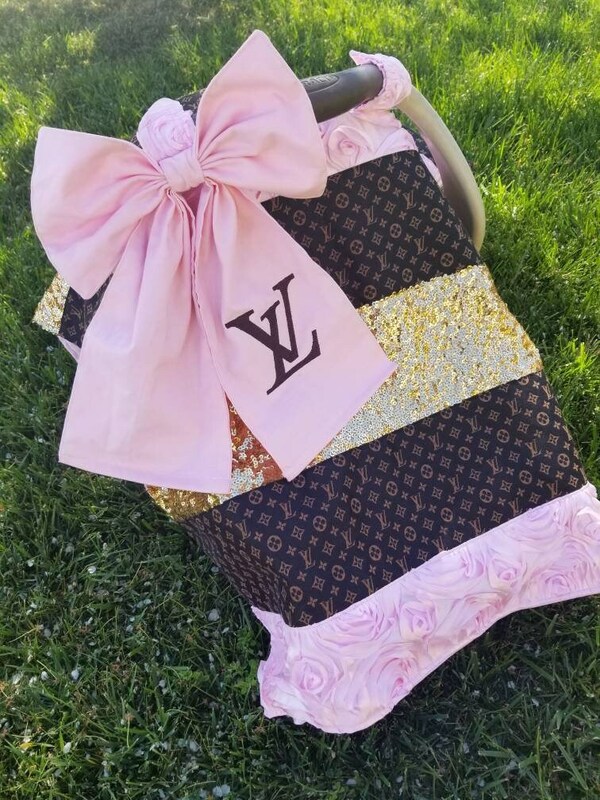 LV inspired fabric on top, patchworked with gold sequin, and your choice of satin rosette. 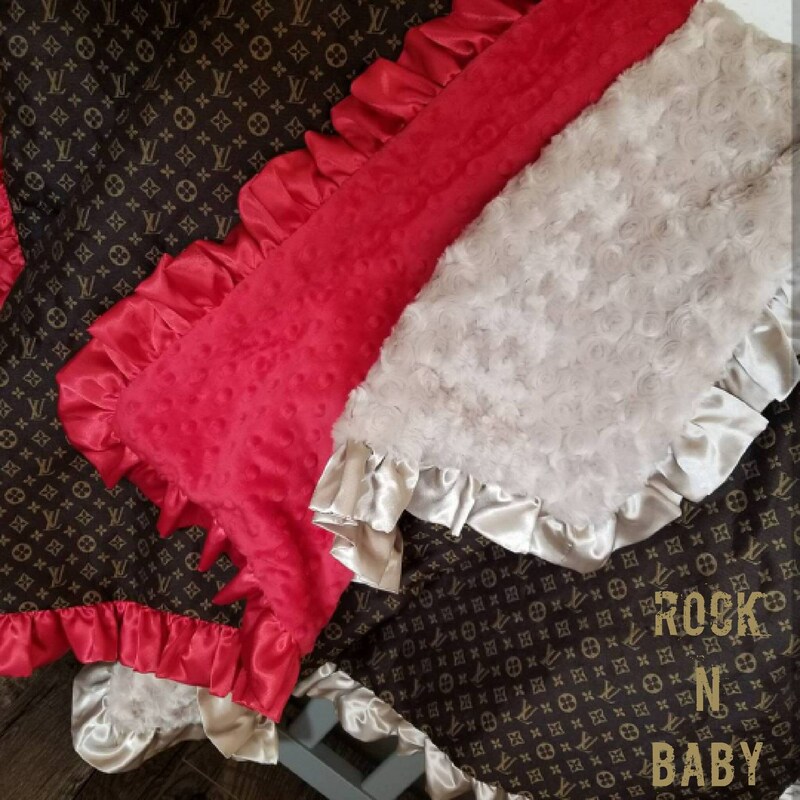 Choose from baby pink, hot pink, red, ivory, brown...your options are endless! Contact us for example colors if you can not find in our shop. If no color choices are placed in notes at checkout, we will ship exactly as pictured. 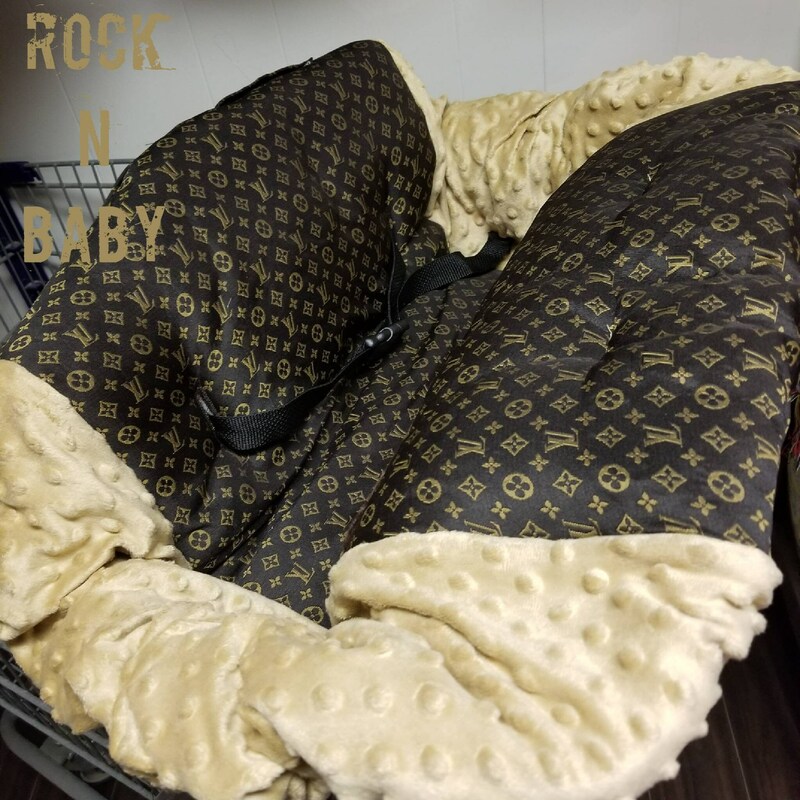 This is not a licensed Louis Vuitton item it's a custom handmade item, made to order with designer inspired fabric. 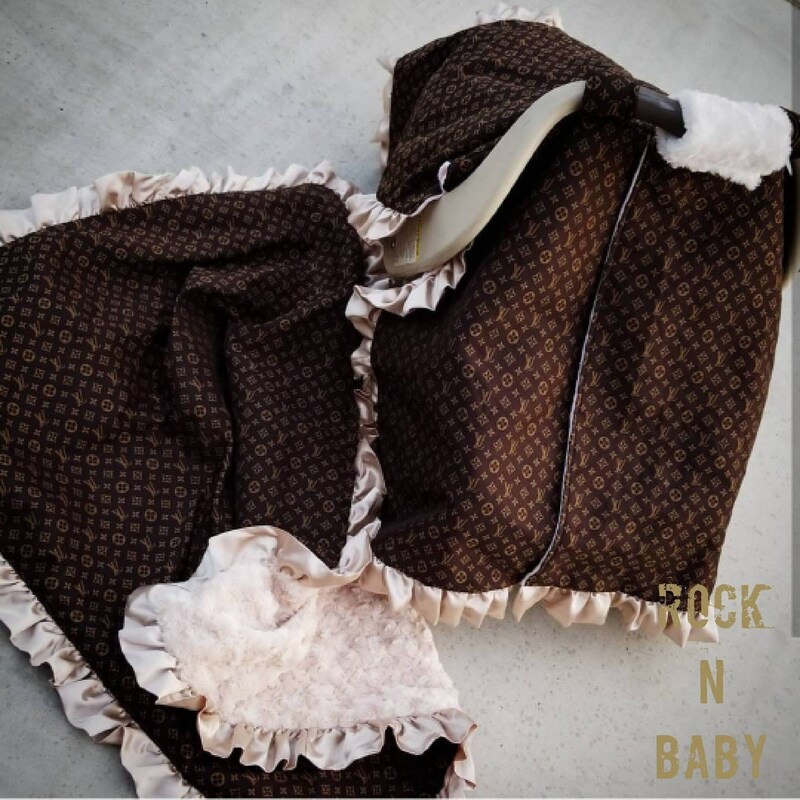 Love the blanket shown in any of our pictures? You can add that at checkout! 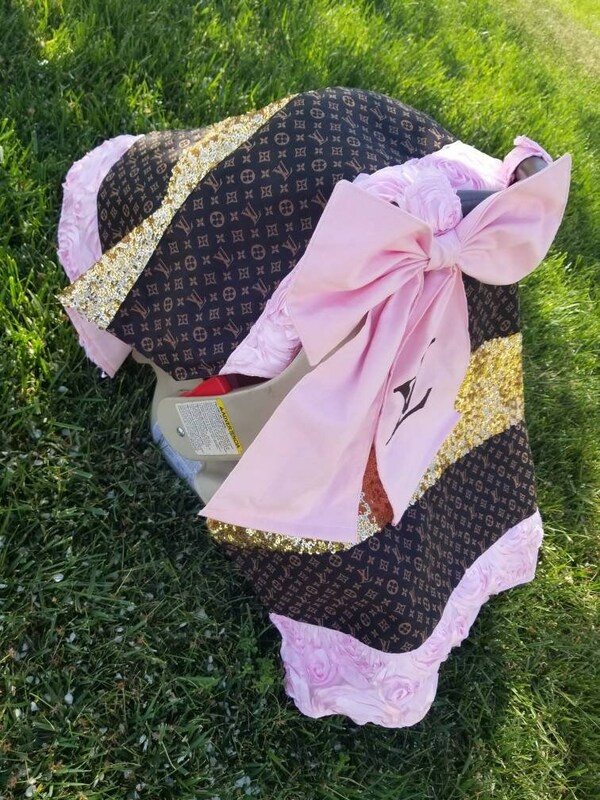 We would make with LV fabric on one side and baby pink minky rosebud on the reverse side with a baby pink satin ruffle .